Callaway Golf Company has announced the establishment of an advanced, creative position for multiple Emmy and Grammy Award-winning actor, musician and avid golfer Justin Timberlake. A Callaway Staff Professional since 2008, Timberlake will lend his versatile talents as a Creative Director for the Callaway portfolio of Brands. Timberlake will engage in the development and execution of high-level concepts within Callaway’s marketing activities and offer wide-ranging consultation on the visual representation of the Brand. The multi-year agreement was announced by Jeff Colton, Sr. Vice President of Global Brand and Product, Callaway Golf. “We have worked with Justin for more than three years now and have been thoroughly impressed with the level of quality he brings to everything he is involved with,” said Colton. 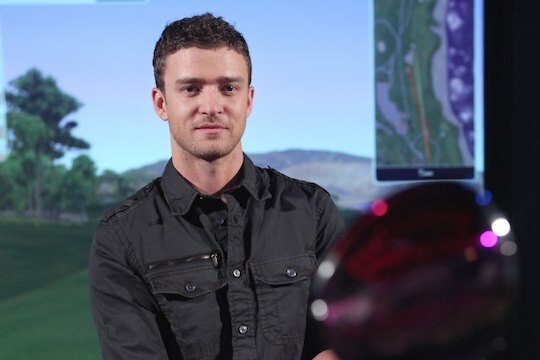 Timberlake’s initial work as a Creative Director for Callaway will support the Company’s 2012 RAZR line of premium golf equipment, including the recently introduced RAZR Fit Driver. Callaway’s 2012 product line will be launched in the first quarter of next year via the Company’s upcoming “Epic Demo” campaign being shot this week in Las Vegas across several iconic city landmarks including the Bellagio Fountain. Timberlake’s contributions to Callaway’s Epic Demo campaign, which features Callaway staff professionals Phil Mickelson and Alvaro Quiros, includes collaboration with the creative teams and Director Joseph Kahn. “It’s always great when professional projects surround subjects that I am passionate about, and the sport of golf and my work with Callaway definitely fit that criteria,” said Timberlake. In 2008, Timberlake became the first non-tour player to join Callaway’s team of Staff Professionals that includes Phil Mickelson, Ernie Els, Alvaro Quiros and icons such as Arnold Palmer. Earlier this year, he participated in a Father’s Day- inspired social media contest that awarded equipment via Callaway’s Facebook page. A passionate golfer, Timberlake’s rising status in the sport also includes annual hosting duties at the Justin Timberlake Shriners Hospitals for Children Open PGA Tour event in Las Vegas, NV. Along with his parents, Timberlake owns and operates Mirimichi, a world-class championship golf course and learning facility located near his hometown of Memphis, TN.